Faith meets Sharon&apos;s new squeeze. He numbs her brain with a disco history lesson, but she paints his face anyway. Billy jumps on Victor&apos;s bandwagon that Jack was the culprit behind the face mask poisoning. He tries to convince Victoria they don&apos;t need Victor or his money. Dina comes down from her room, grabs the record Jack bought, and darts out the door before Jack notices she&apos;s gone. Victor tells Nick that Newman purchased a liquor supplier who will be cancelling any discounts the Underground was getting. Nick tells Chelsea he would rather torch the place than deal with Victor. He decides to leave the party at Crimson. Charlie, Mattie, and Reed get into the Underground. When Nick comes in, they run to the back room. Reed texts the other teens to stay away. 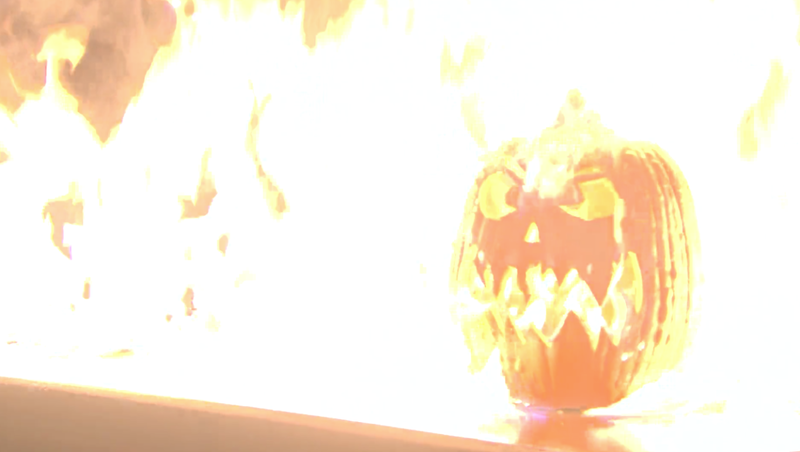 Nick fires up a Jack-o&apos;-lantern. Then, he starts lighting matches and dropping them on the bar (they go out) whilst thinking about all his problems. Reed goes out to the front of the club. Nick isn&apos;t in site, so he gets the others and tells them the club is empty. They hear a noise so they go back. They don&apos;t see that it&apos;s Dina. Ashley explains to Billy how sketchy manufacturers operate outside of the US to avoid regulations and rush products to market. She asks Billy who would do such a thing. Dina gets a lantern to light so she can see an old picture, but knocks it over spilling the oil. Instead, she lights a match to see the picture, then blows it out. She lights another match until it goes out, then leaves. The match really isn&apos;t unlit. The oil runs toward the match and catches fire. The flames follow the path of the oil, engulfing the bar. The three teens are still in the back room. Dina returns home and goes upstairs and no one is the wiser.